The devil whispered in my ear "you're not strong enough to withstand the storm." Today I whispered in the devil's ear, "I am the storm." 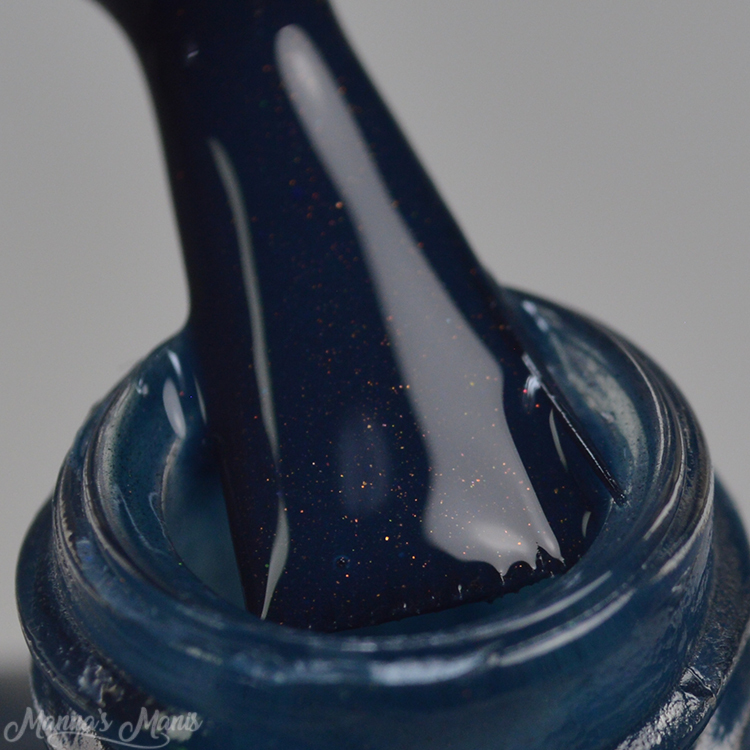 A gold leaning olive to dark teal thermal with copper sparkles. Thermals are one of my favorite finishes of polish and it's been an adjustment enjoying them with short nails! Not only is it harder to capture in pics, but I usually run hot, so it always stays in the warm color unless I have free edge on my nail. Contemplating growing them out again tbh. Formula and application was great, my swatches show 3 coats. 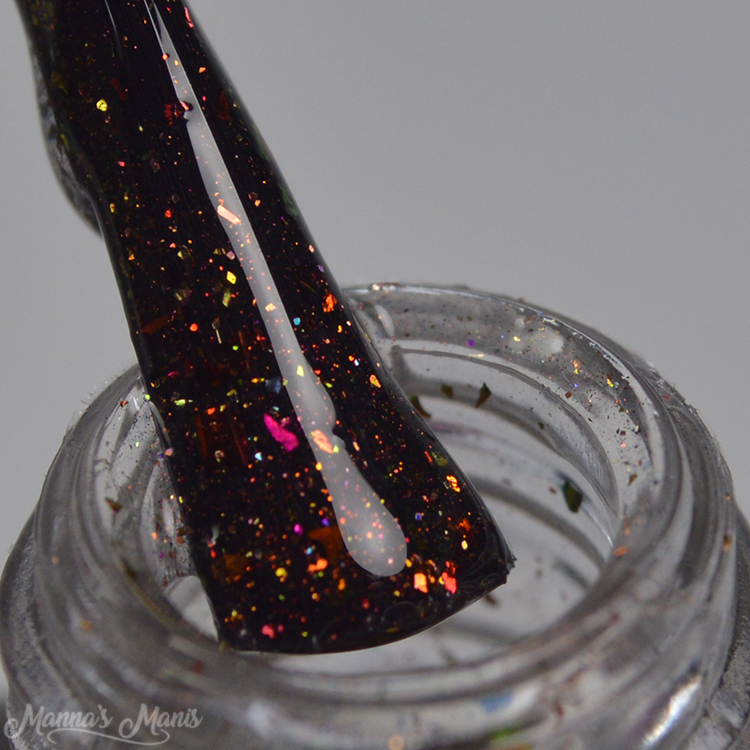 A topper shifting from chartreuse to copper to rusty orange/red UCC shimmer, large and med copper to gold UCC flakies, iridecent mini flakies, various orange, copper, gold sparkles, and just a tiny bit of rust scatter holo micro glitter. How gorgeous is this topper! I applied it over I Am the Storm and I thought it looked pretty neat. The first pic below shows 1 coat, the second pic shows 2 coats. I prefer 2 coats to show all those beautiful UCC flakes. These are available NOW for $12.50 each!